John Higginson, author of the original Cycling the River Loire guidebook cycles the Loire Chateaux country from Sancerre to St Nazaire. It would be very easy to simply make a list of all the chateaux between Sancerre and St Nazaire and leave cyclists to choose those they would prefer to visit (actually, if that's what you're after, we've done the hard work for you with this top 10). In doing so, however, they would miss some fascinating towns and villages which do not have a chateau at all. Although this section of the ride is over 600 kilometres long, the route is relatively flat and easy, with just a few hills known as the Angevine Corniche near the end. Descent steeply from Sancerre until the canal is reached and followed in a northerly direction. The road is quiet and virtually flat, with clusters of small towns and villages. It's worth detouring into Cosne Cours sur Loire to enjoy its flower beds, twelfth century church and other local amenities. Regain the canal bank and ride next to it until immediately after St-Firmin-sur-Loire, when you should take a track to the right which crosses the Briare Aqueduct – the longest aqueduct in Europe (it carries the Canal Latéral à la Loire over the river Loire) – into the canal town of Briare le Canal. Those who can spend some time here will be richly rewarded. Do not try to leave the town by the D952 (very dangerous), return over the aqueduct instead, and turn right onto the D951. The route now follows the river with fine views of Gien, famous for its ceramics, before leading to Sully-sur-Loire where accommodation can be found. The first great chateau of the Loire can be visited here and shortly after leaving the town, St-Benoît-sur-Loire comes into view. The abbey (in French) here is breathtaking with magnificent sculpture. Just down the road and easily missed is Germigny des Prés whose church is quite remarkable. Soon a cycle way will appear and this, as far as possible, should be followed into Orléans. Cross the river here very carefully to see the cathedral and old quarter and then keep on the right bank of the Loire along a cycle way which gradually disappears. It does so at St Ay, which has accommodation. At Meung, cross to the south side of the river and stay on this bank as far as Blois. If you have time, divert at Muides to visit the grandfather of all chateaux at Chambord. On reaching Blois, with its wonderful chateau and medieval streets (not to mention its chocolate factory), find somewhere on the south bank of the river for economy. The road continues to hug the river bank through Candé sur Beuvron and Chaumont before reaching Ambois. See its Chateau du Clos Lucé, the home of Leonardo da Vinci, before heading for a strange pagoda and the wine villages of St Martin le Beau and Montlouis. It is not far from here to the administrative capital of the region, Tours. With great care, leave the town between the rivers Loire and Cher. Just before the Chateau of Villandry, whose gardens must not be missed, the rivers meet. The riding is flat hereabouts, leading to a huge nuclear plant after which the Loire is joined by the river Vienne at Candes St Martin, the home of St Martin. The church should not be missed. Just beyond is the chateau town of Montsoreau with all facilities. When Saumur is reached, its chateau stands as a sentinel guarding against attack from the river. There are a series of troglodyte dwellings here and some are used for growing mushrooms. Approaching Angers, follow the signs but be careful not to be sucked into motorway traffic. Its massive castle dominates everything and houses some wonderful textiles. Return to the village of Mûrs Erigné and followed the D751. The road numbers may vary but the road to Ancenis is well signed. Just short of Nantes cross the river and follow the GR3 leading into the town centre. Leaving the city, ride through the Audubon Marais to find overnight accommodation at Savenay. From here, take the D100 which will lead you into the heart of St Nazaire and the end of the journey. If you're heading to the UK, you can take the train to St-Malo and the ferry to England. John Higginson, a keen cyclist in his youth, took up cycling again after retiring from teaching. He is now a professional writer and lecturer. He is the author of the Cicerone guides, including the original version of Cycling the River Loire, The Danube Cycleway: Donaueschingen to Budapest and The Way of St James: A Cyclist's Guide. For the latter, he and his wife Andrea spent two years researching the pilgrimage before embarking on their cycle journey to Santiago de Compostela in 1997; they have spent much of their spare time cycling alternative bike routes ever since. They live in France only a few kilometres from the pilgrim route. 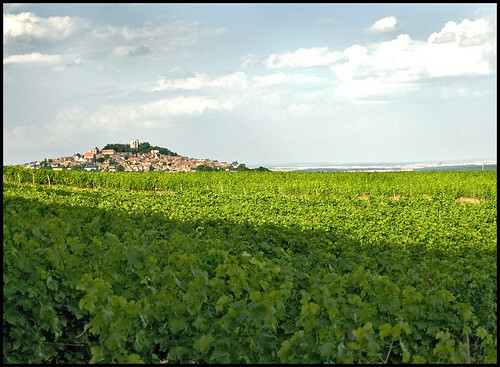 See John Higginson's two other Loire cycle tour legs: Gerbier de Jonc to Le Puy en Velay and Le Puy en Velay to Sancerre. He's also written our introduction to cycling in the Loire. 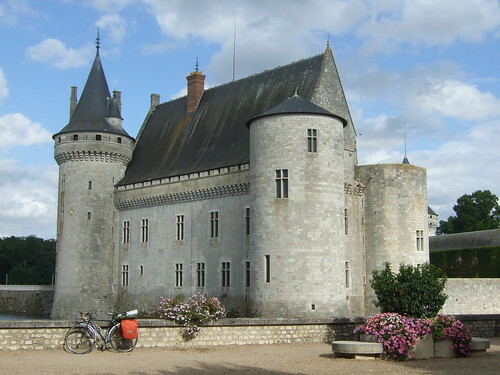 See also our top 10 Loire chateaux to see by bike. Michelin has a Tourist Guide Chateaux of the Loire (there's also a map). See our bike hire listings for bike rental options in Pays de la Loire and Centre. On the guidebook front, see John Higginson's Cycling the River Loire: The Way of St Martin, published by Cicerone. For more general tourist information on the Loire, see the DK travel guide to the Loire, the Loire Valley Footprint guide, or the Cadogan equivalent. See also Michelin's Tourist Guide Chateaux of the Loire (there's also a map). The chateaux of the Loire are extremely popular among cyclists and many companies offer self-guided bike rides of the area. They usually include accommodation, maps and detailed route notes, and local advice and support. Bike hire can usually also be arranged. You can search our organised tours section here.